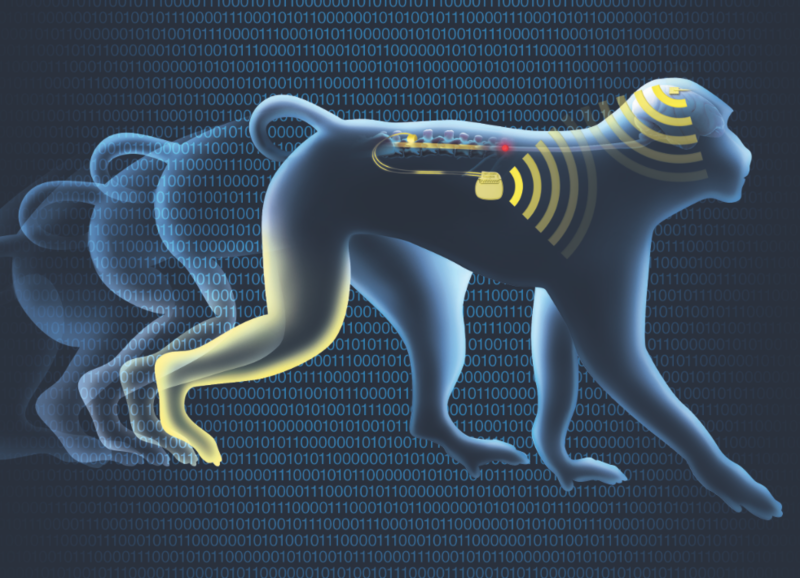 Non-human primates regain control of their paralyzed limb thanks to a neuroprosthetic interface that serves as a wireless bridge between the brain and spine, bypassing the injury. 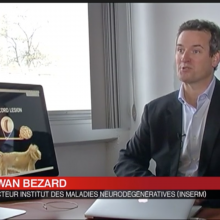 The interface was developed in an international collaboration led by EPFL. 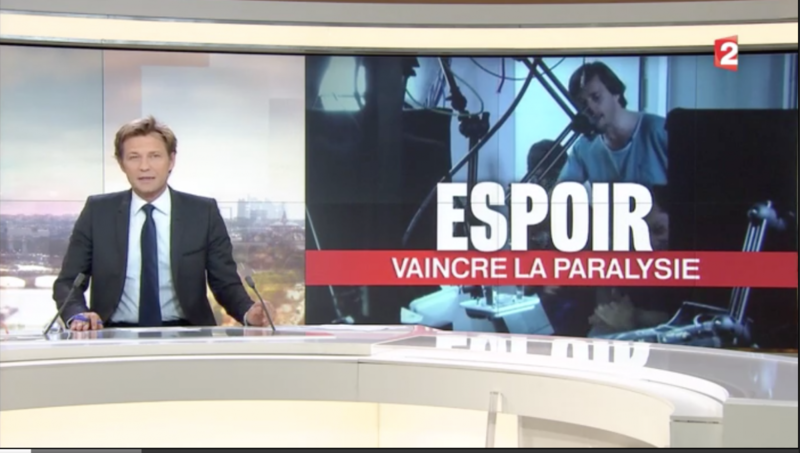 A clinical trial has started at the Lausanne University Hospital in Switzerland to test the therapeutic effects of the spinal cord stimulation system in people with spinal cord injury. 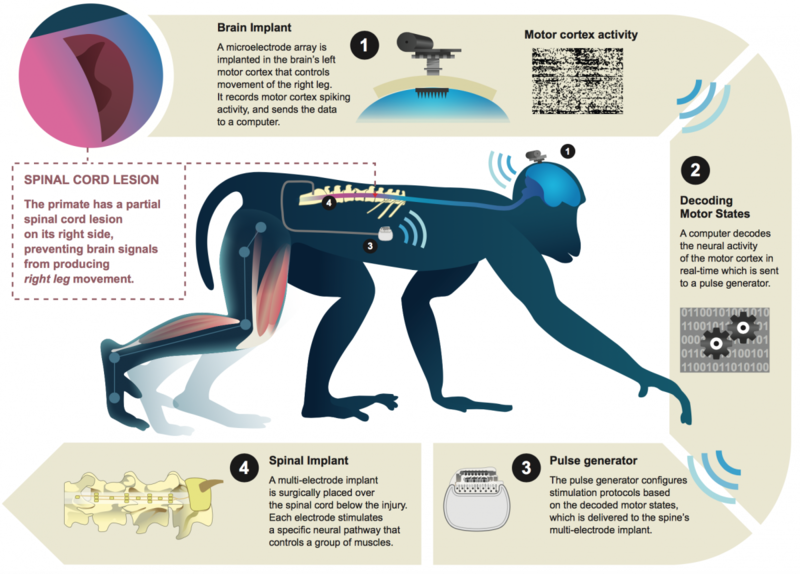 On June 23rd, 2015, a primate with spinal cord injury regained control of its paralyzed leg with the help of a neuroprosthetic system called the “brain-spine interface” that bypassed the lesion, restoring communication between the brain and the region of the spinal cord producing leg movements. 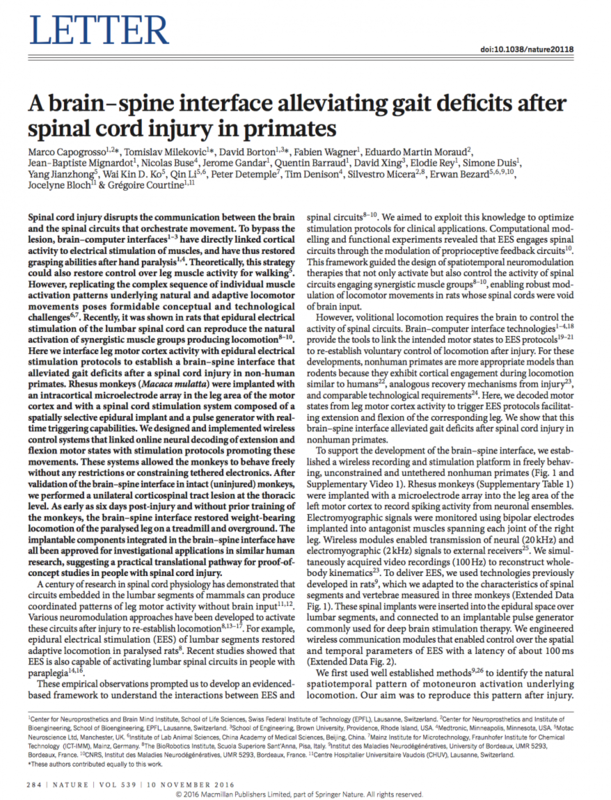 The results are published today in Nature. 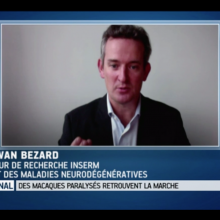 The interface decodes brain activity related to the intended walking movements and relays this information to the spinal cord ­– below the injury – through electrodes that stimulate the neural pathways that activate leg muscles during natural locomotion. 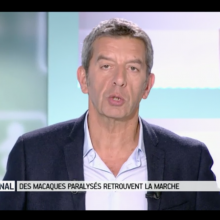 In this way, the primate’s intended walking movements are produced. 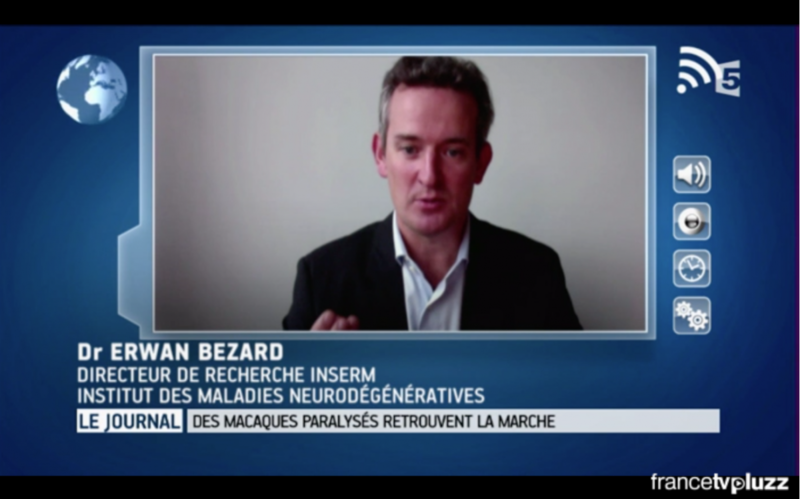 The neuroprosthetic interface was conceived at EPFL in Lausanne, Switzerland, and developed together with an international network of collaborators including Medtronic, Brown University and Fraunhofer ICT-IMM. 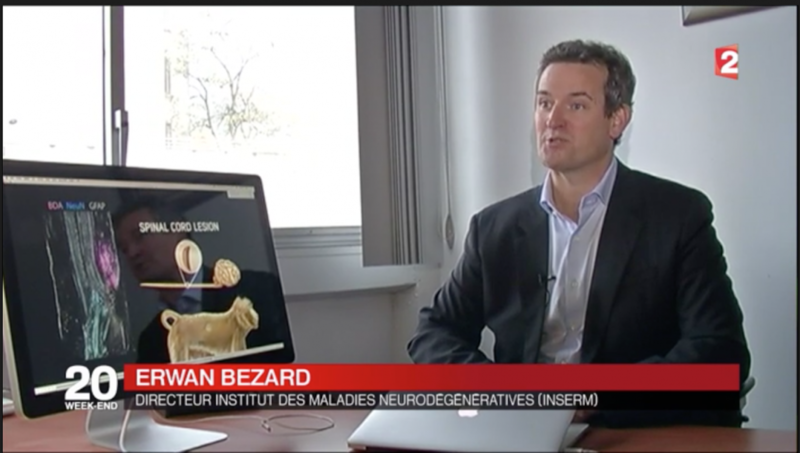 It was tested in collaboration with the University of Bordeaux, Motac Neuroscience and the Lausanne University Hospital (CHUV). 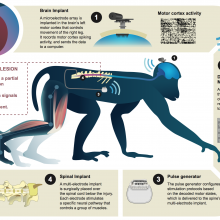 “This is the first time that a neurotechnology restores locomotion in primates,” says EPFL neuroscientist Grégoire Courtine who led the collaboration. 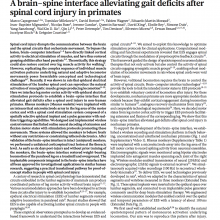 “The primate was able to walk immediately once the brain-spine interface was activated. 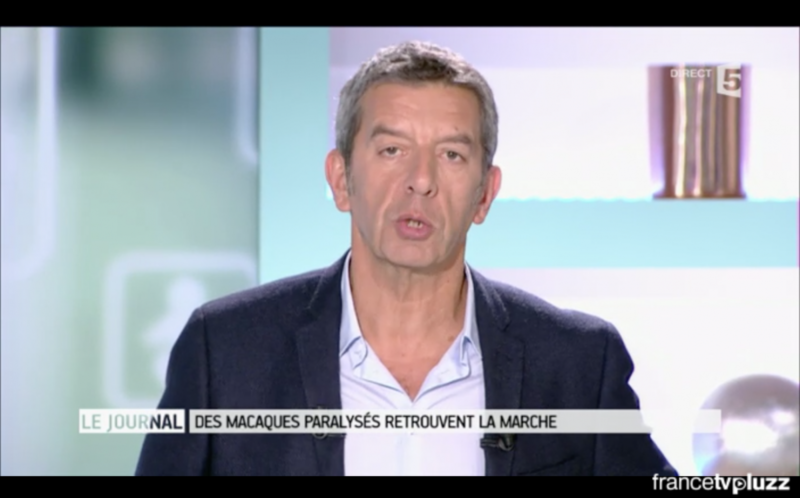 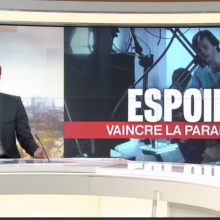 No physiotherapy or training was necessary,” says neuroscientist Erwan Bezard who conducted the experiments at the primate facilities at Bordeaux University. 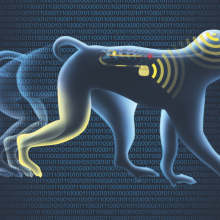 In collaboration with EPFL, neurosurgeon Jocelyne Bloch of the Lausanne University Hospital (CHUV) is leading a clinical study that evaluates the therapeutic potential of this spinal cord stimulation technology to improve walking in people with partial spinal cord injury.